Hey, I love this! 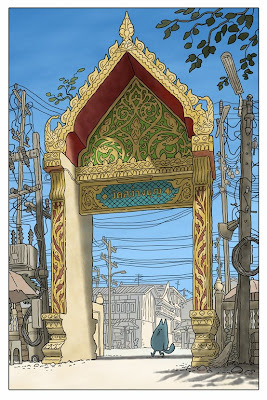 I wish to see a beautiful Thai scene like I saw in Japanese manga long time ago. When will this comic book done? : ) wanna see it! A travel journal of Kitty visiting beautiful spots in Thailand would be fun. I think he'll appear in the elephant comic first, to help a city elephant find his way back to the jungle.